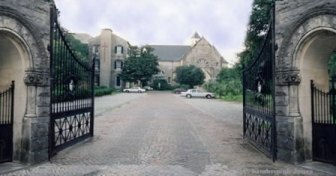 Visitation Monastery and Academy, 2300 Springhill Avenue, was founded in 1833 at the request of Bishop Michael Portier by sisters from the Visitation Monastery of Georgetown, D.C. The foundation served as a academy for girls from 1848 to 1952 and now functions as a retreat house. In 1957 a candy kitchen was established and its Heavenly Hash quickly became popular as a Christmas gift in Mobile. Approximately eight nuns of the Order of the Visitation live in the monastery.